Fast Recruitment Websites were quick and efficient with the recruitment website design process and worked through each stage of the design with us. The site is not only user friendly for our contractors but also for our staff when uploading new jobs and adapting the website. We are extremely happy with the new appearance of our website. 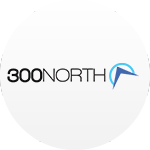 After evaluating a number of recruitment website providers, 300 North made a positive decision to appoint Fast Recruitment Websites for a complete website and brand overhaul. As the person responsible for delivering a new website for the business and having never undertaken this task before, Chris and the team made the process really simple and provided great hands-on support throughout. They were always really quick to respond to any questions or provide the support we needed throughout the design and build phase. The team were incredibly patient, professional and diligent and we’re delighted with the end result. 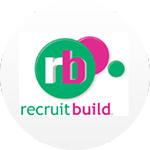 We would recommend Fast Recruitment Websites for any recruitment business looking for a great website design, fast build process and super support. I have been given the responsibility of managing the design of a website for our company and I was a bit worried about picking the right team to help me. Chris and his team have made this experience so quick and easy I would recommend them to anyone looking for a new website for their recruitment business. They helped with a lot of things that I found difficult and gave me training for everything else. Even after the website was live their support is amazing if I needed to change anything. I would defiantly recommend their service to everyone. They will help with anything you need. I am so pleased with the website that the team have constructed! Thank you so much ! 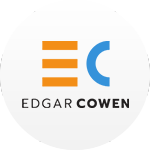 Edgar Cowen engaged Chris and the team to develop our new website, at the same time we decided to go the whole hog and completely re-brand the company! This was no small task, and Chris was very patient with us, advising along the way regarding the new website in terms of what was possible and what looked aesthetically pleasing. He worked at our pace, which at times was slow (completely our fault) but whenever we wanted to move to the next step FastRecrruitmentWebsites would have it concluded within a very quick time-frame which was impressive. Whenever we wanted something to work in a certain way, they were able to deliver it, or give us some alternative options that worked even better. We now have a website we are very pleased with, that looks great and will deliver the right image to our clients and candidates. 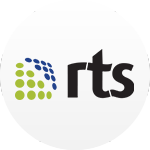 We are extremely happy with both the services and the end product from Chris and the FastRecruitmentWebsites team. From conception to delivery the process was fast and easier than expected. Chris and the team have been a great help in getting our website up and running and continue to provide excellent support. 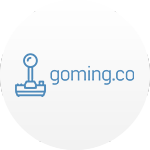 They are always friendly and respond quickly to questions and requests. The process of setting up the website was simple and we have ended up with a website which provides a functional, on brand, simple to navigate customer-facing platform. We were trying to design our website in-house and were on the lookout for well-designed sites when we stumbled across a site that we really liked and noticed it was done by Fast Recruitment Websites. A quick look at their services and prices and we realised it was the way to go. They were very helpful and patient in the design process and we had a fully functional website above and beyond what we thought we could get for the price. We will definitely be using them for re-designs in the future and would highly recommend to anyone in the industry. 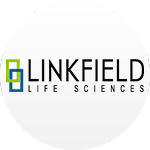 We decided that we needed a re-brand of our online presence, in doing so we extensively researched the market and found that Fast Recruitment Websites had the most functional and cost effective solution to our needs. We were particularly impressed with the speed at which our website was built and tailored to our individual requirements. Chris and the team have been a real asset to our business and I would happily recommend them to anybody. 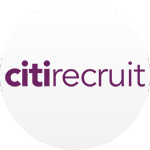 After looking at some local options we decided to explore Chris and his team at “Fast Recruitment Websites” which has been a great success. As after having 4 previous websites in our 14 years of trading we decided we needed a website which would link direct to all the software tools we now use. You don’t have to pay for a company to develop this as with the experience Chris and his team have they link to nearly every tool in the market. The support from design stage to live date has been great, with a swift response to any questions asked, meaning reassurance throughout the whole project. They don’t sell you want you don’t need and we look forward to the new website delivering some great candidates directly to us. 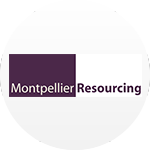 We chose Fast Recruitment Websites to remodel our entire online presence and brand from their impressive portfolio and specialised recruitment software, which was extremely important to us. Chris and the team where beyond amazing, we gave them a really specific plan in which they perfected and had no problem making all of the really picky amendments we had and were lenient in every stage of the process in order to get our website perfect. They offered us far more than we could have ever expected and the communication we received from Chris was so prompt, we’ve never experienced such good customer service with any other online/web company. RTS would highly recommend Fast Recruitment Websites, we are beyond pleased with how professional our website turned out. I'd just like to say how impressed I am with the website software, the more I use it more impressed I am. I really do feel it was a sound investment. With our 4th generation website under our belt and a reducing number of unique visitors and trackable outcomes I had been aware that the existing site was underperforming the industry norm. I had done some research of other sites and had stumbled across a recruitment site crafted by Fast Recruitment Websites. It looked so clean and functional. Our existing site was by comparison a bit of a muddle, as I had asked the previous webmasters to add pages at my request. Moving away was a real challenge for me our existing web guys are personal friends. None the less, after much soul searching I decided that I wanted a new ‘web experience’. Chis from FRW explained everything so clearly and he interpreted Orchard’s needs perfectly. They hit every deadline and made the changes we wanted without complaint. I am sure that they are cheaper web developers out there but I felt that I was getting Roll Royce service for Mercedes money. Having an internal project manager on our side was a great idea and my colleague took over this role with gusto. Such a project really does need a ‘champion’ client side who has the authority to make decisions. A group effort is less likely to succeed. Chis & his team’s communication has been spot on throughout. This is the second site that Chris and the team at FastRecruitmentWebsites have built for us and once again we are very pleased with the outcome. 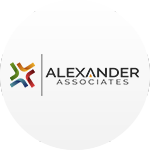 The team pushes hard and deliver results in an efficient and effective manner. Chris was also very helpful in working together with us to find the right solution and the desired look. Thank you once again and there is no doubt we will be back again in for fresh update in the future. Chris (our account manager) and the FastRecruitmentWebsites team have been nothing but superior in developing our new website. 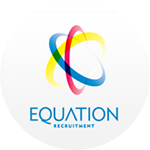 The team are very well rehearsed in the world of recruitment websites and we were more than impressed with their attentive service and talent. 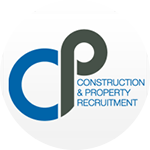 I had the pleasure of working with Fast Recruitment Websites on the construction of our new website. This formed part of an integral rebrand and my time was short. Fast Recruitment Websites’s attention to detail and interpretation of our requirements was spot on. The site has been running for 3 months and we have a ROI of 300% already. What more can I say. 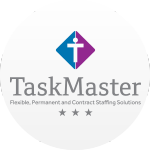 Chris and the Team at Fast Recruitment Websites delivered an excellent service, the process from first phone call to a live web site was seamless and rapid, I would recommend there services to anyone. The only hard bit was keeping up with them! The team at Fast Recruitment Websites have been absolutely outstanding. Providing key support during the entire process. They never failed in giving fantastic support and always no task has been to great for them to achieve. As a professional, my expectations are extremely high and the Fast Rec Team have managed to over exceed these with their shared creative and meticulous vision. The team at Fast Recruitment Websites were excellent and were really happy with the website. Chris our project manager was always at the end of the phone when I had questions and he was a pleasure to work with. 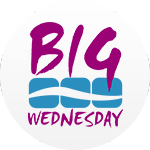 We at Big Wednesday Digital were looking for a partner who could help us deliver a functional website based on our ideas around design and content. We needed help to take our concept and turn it into something that actually looked good and worked. We wanted a particular look, functionality set and navigation and the guys at Fast Recruitment Websites helped us avoid various pitfalls and produced something that exceeded our expectations. 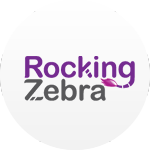 We've been in production for two quarters now and their service, responsiveness and helpfulness has been faultless. The site does everything we need and loads more. 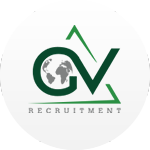 For a bespoke service we feel Fast Recruitment Websites have been phenomenal value. We were finding it extremely difficult to find a supplier who met the demands of what we wanted from our website, and then we found Fast Recruitment Websites. From start to finish they were on hand to keep us involved and updated on every aspect of our website build and we were more than impressed with the end result, it was exactly what we wanted and more! The training they provided on the site was very helpful and they are always on hand for anything else you need help with. We cannot recommend Chris and the team enough – thank you. We were very pleased by the service offered by Fast Recruitment websites, they helped us all the way through our web site build and no matter how many changes they were all completed extremely quickly. 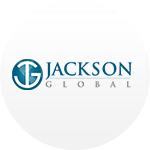 The team did a fantastic job on Jackson Global's website. 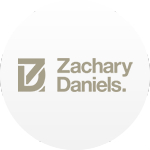 My contact was very quick to respond to any queries and provide assistance wherever necessary. The whole process was extremely quick and effective. They were very patient with me considering I have zero technical knowledge. 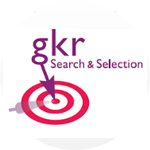 I will certainly be using FastRecruitmentWebsites again for other Brands we look to launch. 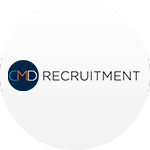 We have had an extremely positive experience redesigning our website with FastRecruitmentWebsites. They were very responsive in everything that we asked, all queries were answered extremely quickly. At all times we got a very personal service. 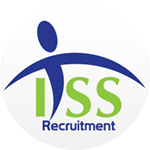 We are delighted with our website and it felt relatively effortless due to the help we got from FastRecruitmentWebsites. 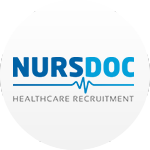 We have always found Fast Recruitment Websites a pleasure to work with. As a new business looking for an affordable and functional recruitment website I was hugely impressed with the website designs, functions and options that came as standard. It is easy to edit and add your own personal touch and the pricing is very fair. The technical support from Chris and the team is great, always happy to help on any problem or question we have had. Chris Potter and his team built our branch office website extremely quickly, and within their documented time-frames. They catered for our every need promptly, including numerous design changes. 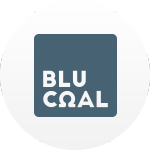 They understood how important the website is to us and this was clearly visible in their conduct throughout the project. I would not hesitate to recommend Chris and his team’s first class service to anyone. 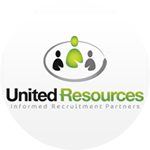 Through luck and research we came across Fast Recruitment Websites when we required an urgent website upgrade. At the time we were hoping to make that important step from being a small agency to an established company, handling requirements from well known global brands. The design process was simplified due to the team having that key sector design knowledge thats so rare to find. 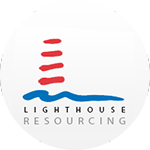 The support we receive is lightening quick and even a year later its great to get compliment from candidates and clients. 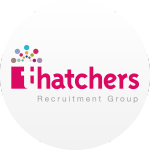 If its a recruitment website you need, look no further, their work really has assisted our growth these last 12 months, big time! 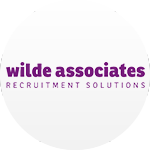 Working with Fast Recruitment Websites has been a delight, a very friendly and personal service. Everything we asked of the team was completed on time and to the highest standard. The support system that Fast Recruitment Websites use is extremely easy to use meaning issues will get sorted quickly. I highly recommend Chris and his team at Fast Recruitment Websites who helped us to create our new web sites. Throughout the whole process the team was there to advise and guide us though the various stages of the build. We are very happy with our the finished product, it looks clean, bright, inviting and is very user friendly. On behalf of Recruiting in Motion, I really need to commend you and your team at FastRecruitmentWebsites for a great job in building our new website. The features are top-notch and the layouts and design are more than we hoped for. In addition to the amazing look and feel of the site, you have been superb in your response-time throughout the development stages and I am always pleasantly surprised at how quickly you get back to me - even considering the 6 hour time difference between Canada and the UK! We look forward to a long relationship with you and your team - keep up the great work! Chris & the team at fast Recruitment Websites built our original website back in 2013 and their hosting and support has been good during the following years. This year we have simplified our branding and are re-focusing our business. A revised website is an important part of our future marketing and again Recruitment Websites have created exactly what we want. They represent very good value and their response and build time is brilliant; they also appreciate that you are running a business so your replies and comments may be delayed. We now have a fresh, secure and functional recruitment site that is GDPR compliant. I would happily recommend you to any companies and I expect our businesses to continue to work together for many years. My experience of working with the team at FastRecruitmentWebsites has been nothing short of exceptional. Given that we were on a strict budget, and required a number of bespoke features and advanced functionality within our recruitment website, they were able to ensure we went live within 3 weeks! 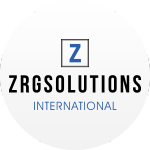 They have been incredibly efficient, proactive and have always been able to meet our exacting needs during the entire process. Since we have been live, the level of support has been excellent and I cannot recommend them more highly. 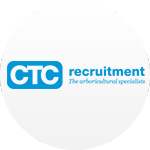 If you need a recruitment website, designed and built to a high specification, on a budget, and within a short space of time, then a call to FastRecruitmentWebsites really is the only one you need to make! 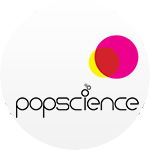 Developing a fully-featured recruitment website proved to be easier than we imagined. 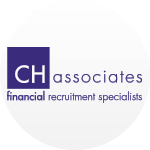 Chris and the FastRecruitmentWebsites team were very structured and methodical in approach - always keeping us informed, always responding to our queries and always delivering practical solutions on time and within budget. The result is a great website that will, I'm sure, continue to evolve. 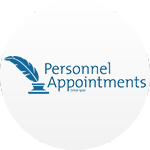 I have absolutely no hesitation in recommending the FastRecruitmentWebsites. At Gravity, we specialise in supplying staff into the video games industry, a highly technical and creative niche. So it was vital that our site lived up to the expectations of our target market in terms of design and functionality. We needed something creative, fresh, technically excellent and above all, professional. 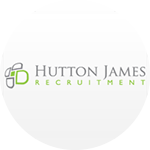 Fast Recruitment Websites met all of our needs and did it efficiently and at a highly competitive price. I would unreservedly recommend them to other companies seeking an affordable, specialist web design agency. After our UK parent company commissioned Fast Recruitment Websites to build their new recruitment website, we kept a close eye on developments. As soon as we saw the site we knew we had to have one for our office! The process was so easy and painless - they created a version of the new site branded specifically for our US branch and delivered it all within days. The service was outstanding and the site is of exceptional quality, especially for the price. Great work Fast Recruitment Websites! Chris and the team at Fast Recruitment Websites did an excellent job on our new website and we are very pleased with the results. All requests were turned around very quickly and pre- and post-launch support has also been fantastic. 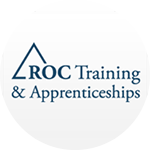 The website functionality works very well and it is a straightforward process to post apprenticeship vacancies and update content. 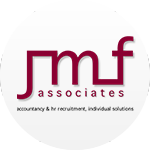 Thank you to Fast Recruitment Websites for your professional support and fantastic platform. We conducted a lot of research into web design and found Fast Recruitment Websites site very clear on what was on offer whilst at the same time showing some fantastic examples of previous work carried out. 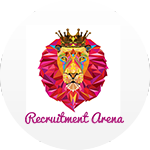 They were very easy to work with and very quickly turned our ideas into an all singing all dancing recruitment website with its own recruitment software system! 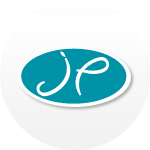 We found from start to finish PP are professional and a company worth working with! We are totally blown away by the ease in which a professional website for a recruitment agency can be built and at such an incredibly reasonable price too!! We searched high and low for a website to update our previous one and found the pricing options for even a basic functioning website with vital elements for our industry so far out of our budget. We fortunately found Fast Recruitment Websites and the process flowed effortlessly and simply from the start. We are very pleased with our end result. 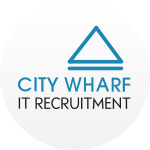 A very BIG thank-you to the whole team and Chris for all their efforts in getting us a new web presence with all the functionality any recruitment agency could wish for. 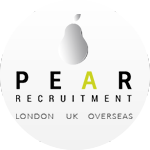 We definitely and heartedly recommend this company for your recruitment website design. 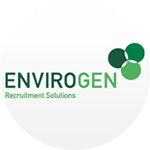 We were introduced to Fast Recruitment Websites and have used them to design, produce and distribute a weekly e-shot and a monthly newsletter. The standard of work which they produce is excellent and extremely good value for money. Special mention has to be give to Chris Potter, their Creative Director. Chris is exceptionally good at his job. He replies to emails almost immediately, is always available to take calls, his work is accurate, he is happy to make recommendations and best of all he is really easy to work with. Several recipients of our newsletter have asked who we use and I have had no hesitation in recommending Fast Recruitment Websites. 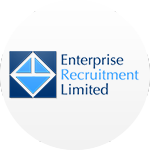 We have been delighted with the service we have received from Fast Recruitment Websites and Chris in particular. We had no previous experience of designing and building a website and so needed an element of hand-holding. Chris has been hugely supportive and very attentive throughout the entire process. We suggested a few ideas with regards to the look and feel of the site at the outset and Chris has managed to convert that into a product which we believe works really well. We were looking for a “shop window” for our recruitment business and a site that is professional, informative and easy to navigate. We are delighted with the end result. 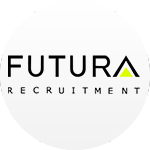 We were absolutely delighted with service we have received from Fast Recruitment Websites, both in terms of efficiency, web design concepts and website functionality. From the outset the team understood our requirements and translated them into a design that exactly matched our needs. I would have no hesitation in recommending Fast Recruitment Websites and certainly plan to use them further. As a brand new business I required a media company that would produce a professional, easy to use and succinct website with not too much input from myself as time was precious at that stage. The team at Fast Recruitment Websites were definitely able to do this for me and within a short period of time the required site was up and running. 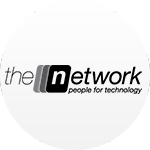 With the breadth of media services that Fast Recruitment Websites can offer I am confident that they will be a key business partner for the organisation going forward. 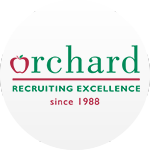 Fast Recruitment Websites is most definitely one of the best suppliers we’ve dealt with. The turnaround time, quality of design, execution of product and pricing was absolutely so spot on and the customer service provided by Chris and his team is superb. 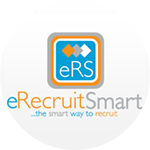 Fast Recruitment Websites is our first choice! 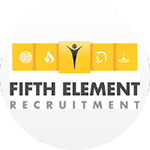 We were referred to Fast Recruitment Websites by our website designers who highly recommended them. Our experience has also been very favourable as they have produced high quality work at an affordable price. The turnaround of completed work has been quick and we intend to use them on an ongoing basis. 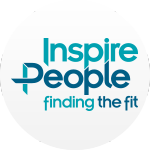 Fast Recruitment Websites were fantastic - they came up with some really great ideas for our website and we are delighted with the end result. He kept us up to date with his progress and worked hard for us within our tight timescales. Originally, we had chosen a simple design for our site but Chris came up with something much more modern, user friendly and professional looking without being asked to. 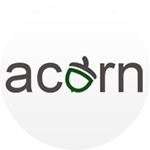 The end result is great; the web site is now working really well for us and Chris has been supportive of any changes we needed, any amendments we wanted and has talked us through the admin process without confusing us with jargon. 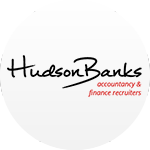 I would highly recommend Fast Recruitment Websites to anyone looking for a professional yet cost effective web site. I have worked with Chris and the team at Fast Recruitment Websites on a number of Website projects including link building SEO campaigns which have got me to No.1 on Google for competitive keyword phrases. 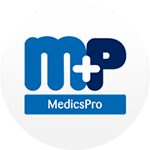 Their professionalism is a breath of fresh air and by far the best providers we have ever had the pleasure of working with. My most recent project was completed on time (within 5 days) at an unbeatable price and I will look forward to working with them again in the future. Just a quick note to say how pleased we are with the website and the service we received. After being let down by a local company we turned to the guys at Fast Recruitment Websites and I have no hesitation in recommending their services to any recruitment company owner looking for a quick turnaround site with great software and functionality at affordable prices. Chris Potter is a pleasure to work with and his dedication and ability to manage timescales on business critical projects is worth it’s weight in gold. 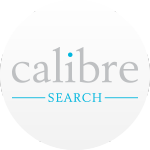 As a local recruitment agency we were struggling to attract traffic to our website through search engines. After speaking to a number of firms I decided to place our SEO work with Chris as he didn't bamboozle me with technical jargon and actually knew the recruitment industry very well. This has turned out to be very successful and we now appear on the first page of searches right up there with the national recruiters. 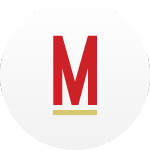 In addition to this Chris has worked with us in a number of ways to enhance our image designing new email signatures and our online promotions. Without a doubt I would recommend Chris and his company to any of my clients and look forward to working with him on our next project, a new website. We wrongly assumed that getting a new recruitment website would be a drawn out and expensive process. Fast Recruitment Websites were able to turn out a professional cost effective website in less than 48 hours. 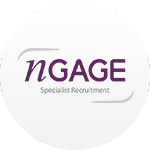 The process was quick, professional and painless and we were impressed with the service, attention to detail and understanding of the recruitment industry. 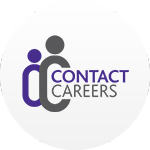 We have full control of job postings, web content, news items, images and Search Engine Optimisation. We discovered Fast Recruitment Websites after a referral from a friend, being a prolific user of design services for both print and the web. We were over the moon with the quality of the material produced and the professional manor in which our ideas were transferred into stunning media products. 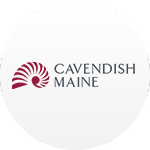 I can highly recommend their work and will certainly be using them again in the future. We would like to say a huge thank you to Chris and the team over at Fast Recruitment Websites for their fantastic service from start to finish. 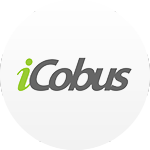 These guys really looked after us, guiding us through some brilliant enhancements that we would never of thought of and they completed everything really quickly, giving us a modern and user friendly website with all the bells and whistles at a very competitive price. Having received such an exceptional level of service, we wouldn’t hesitate in recommending them to any company, small or large, novice or expert. Excellent service very happy with the way the whole process was managed very helpful at the firm highly recommended. We have recently migrated all of our websites over to the team at Fast Recruitment Websites and they now look after all of our sites. The guys are great at doing exactly what they say they will and always keep to timescales. Their sites not only look great but they also have fantastic functionality making it a simple decision when considering a trusted partner for forthcoming projects. We have had terrible experiences elsewhere and thankfully we now feel we are in very safe hands!